What does the magic of reading to your children have to do with them learning to read? 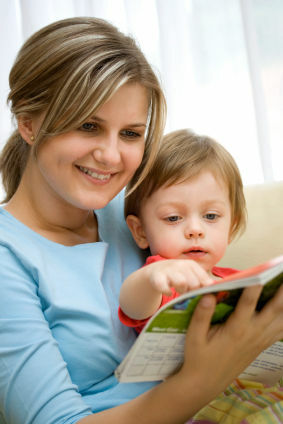 It is often emphasised that parents should read to their children from as young as 1 year old. Firstly simple exposure to reading increases the likely hood that a child will develop prerequisite skills for reading (Abraham & Gram, 2009). What can children do in the Holidays? For other than HSC students, the end of the year means not only a break from school but also from tutoring. Yet most parents feel a little insecure about such a long break and worry their child will fall behind in the New Year. They often want to schedule some tutorials during the break (not such a bad idea) but still feel anxious about all that free time. So as a tutor, I often get the question – what should they be doing in the holidays? We have began to get an increased demand for language tutors. Our latest requests are Spanish and Japanese in the Hills area. There is no doubt that focused, one on one tutoring can help students catch up or move beyond the rest of the class. However, tutors are also in a position to help with so much more. In 2008 the National Assessment Program: Literacy and Numeracy (NAPLAN) was introduced for all students in Years 3, 5, 7 and 9. The purpose is to assess the literacy and numeracy learning of students in all Australian schools. In NSW the NAPLAN replaces the Basic Skills Tests (BST) English Language and Literacy Assessment (ELLA) and Secondary Numeracy Assessment Program (SNAP).